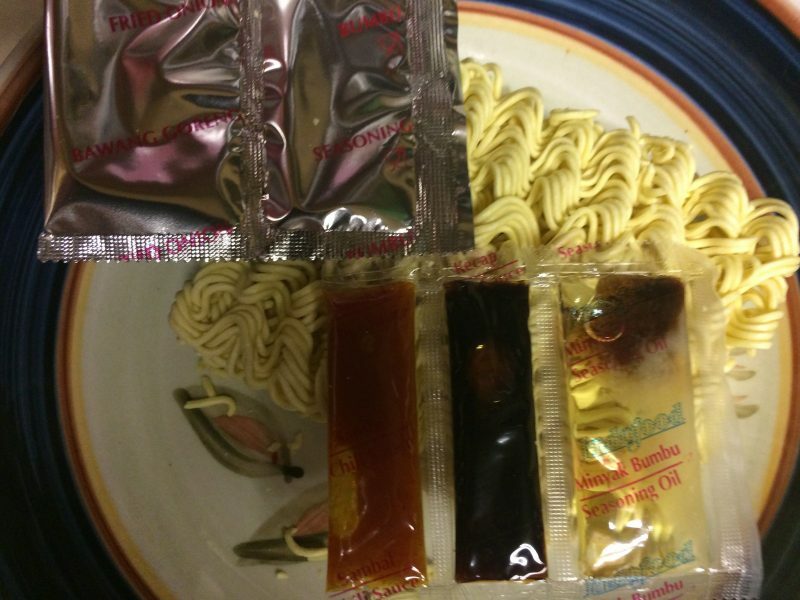 While not always true; it is a common rule of thumb that the more packets in a package of ramen the better. 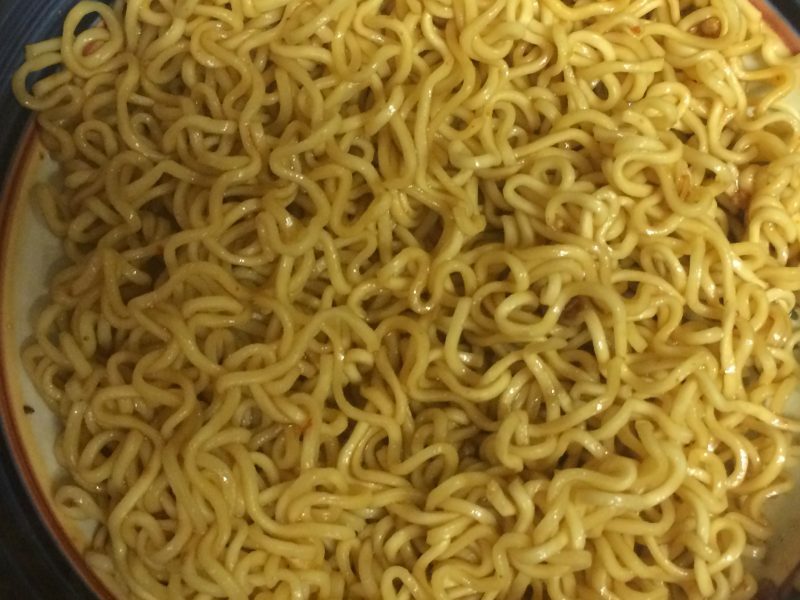 Indonesia’s Indomie Barbeque Chicken Flavor boasts five packets and has a superior flavor. Part of the attraction is that each packet can be used either partially or in total depending on desired taste. As this was my first time trying it, I used all of each, and was pleased with the results. The noodles are meant to be drained after cooking, which makes it a noodle dish instead of a ramen soup. The instructions state to mix all the packets contents together before adding to the noodles. To minimize the amount of dishes required, I cooked the noodles in a bowl, then transferred the noodles to a strainer, using the bowl to mix the packet contents before returning the noodles and tossing to cover. The result was a pleasant sweet spicy noodle flavor that I enjoyed, definitely a noticeable step up from average ramen, although I’d like it even better if it included more dried vegetable garnish.